Environ brings skin back to beautiful! 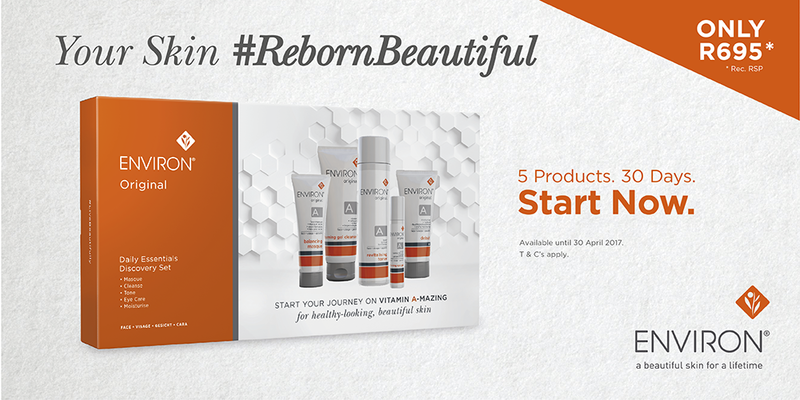 Healthy, beautiful skin starts with the daily replenishment of Vitamin A! It’s time to bring your skin back to beautiful with Environ’s Original Daily Essentials Discovery Set – designed to get you started with a one month supply of 5 essential skin products. This powerful combination will help to deliver exactly what your skin needs in adequate doses to keep it looking healthy, and beautifully radiant for life. PLUS, find your bonus gift voucher inside the pack.